A great way to have fun and break the ice at parties, this set of 3D Motion Face Coasters are a cheeky, laugh-out-loud addition to your drinking fun. The Alcohol Shots Gun takes drinking to a whole new level! Bank Shots takes the classic game of Beer Pong that we've all come to love to a whole other level with a backboard. 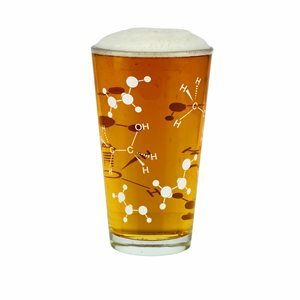 16 oz heavy duty glass showing the molecular structure of Ethanol! They say dog is man's best friend, but can a dog open a beer for you and then patiently wait on the cap of the next one? Start your night off right with the Bombs Away Beer Bomb. 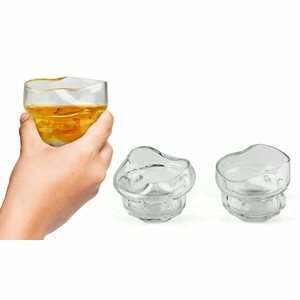 This is the perfect way to drink bomb shots without all of the mess! 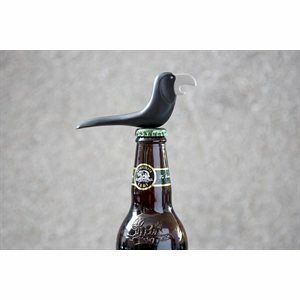 Bottle bunny bites off your beer top. A helpful little fellow that screws to your wall and opens bottles with those two big front teeth of his. Set of 6 markers suitable for cans, flutes and bottles. Drink your beer in vintage-style stainless steel 'tin cup' style with the Canteen Half Gallon beer stein! 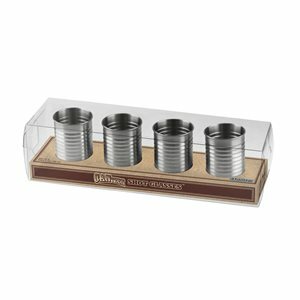 Bring rustic charm to your festivities with these canteen-style shot glasses. This cool ice cube tray makes nice, bulky cubes to chill any drink. Chill Pill is designed to look like a tab of two pills. Tear it in two so it fits into any freezer!